Flowchart Software | Download ConceptDraw for easy flow chart and process flow documentation tools and resources! ConceptDraw DIAGRAM is a powerful intelligent vector graphics tool for drawing flowcharts . Basic Diagramming solution includes 10+ professional-looking flowcharts templates and examples that you can modify and make your own graphic documentation. Sample 1. 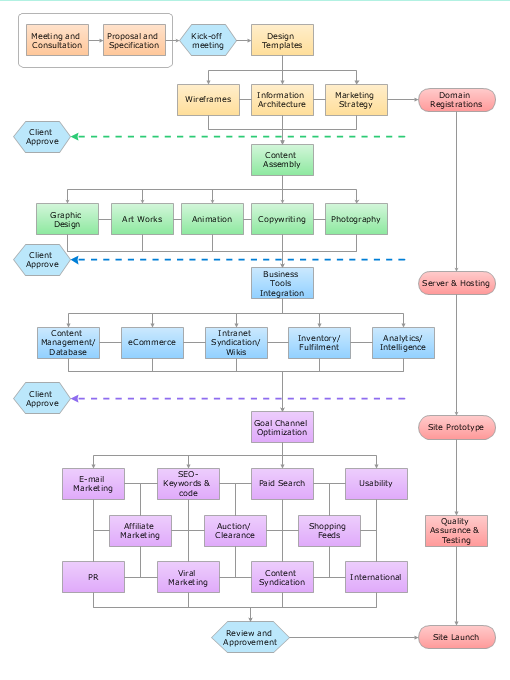 Flowchart - Website-launch.